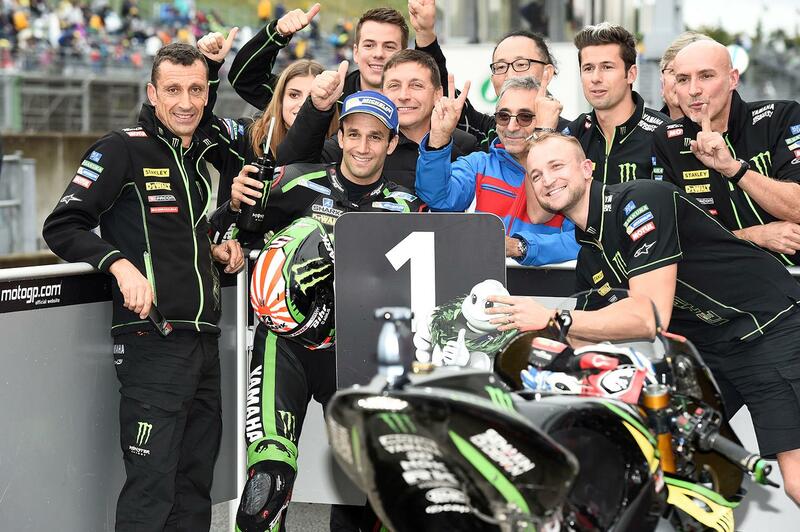 Johann Zarco says he’s out to capitalise on his pole position for tomorrow’s Japanese Grand Prix by once again inserting himself into the battle for the win at Motegi in a race forecast to be run under wet conditions. Taking an impressive pole position from under the noses of his factory rivals as the Motegi circuit started to dry out towards the end of the session, Zarco is still aware that while he’s got a big advantage, it’s going to take a lot of effort to take the top spot. “I am so happy about this pole position. The team and I did some great work since FP1. There, it was raining all the time, and I think that I improved the feeling of the bike a lot, plus I have grown up in this condition. For qualifying, it was a bit different because the track was drying, but not enough to use the slick tyres. It’s been a less successful weekend for new teammate Kohta Nozane though, as the Japanese test rider gets thrust into MotoGP for the first time to replace the unwell Jonas Folger. "In the practice this morning, I struggled with the choice of tyre, and in the end, my position was not so good. Then in FP4, it went well at the beginning of the session, but I pushed a bit too much because I wanted to improve from the morning practice and I crashed after making a mistake. I have a small fracture in my right hand, but I tried to run in Q1 for one lap, yet I had to cancel. I am sorry to Yamaha and Tech3 but I will try my best to come back for the race."